Ayodhya Ram Mandir: Supreme Court Give New Date For Ram Mandir Hearing: 29/10/2018 The Ayodhya dispute was heard in the Supreme Court today in the ongoing debate over the construction of the Ram temple in the country. The hearing on the Ram Janmabhoomi-Babri Masjid in Ayodhya on Monday, only in three minutes was heard in the Supreme Court has stayed the hearing till January. In its two-line verdict, the Supreme Court has decided to start the hearing of the case in January. The decision on the regular hearing of the case will now be in January only. The Supreme Court had to hear the petition challenging Allahabad High Court's decision. In the Allahabad High Court's 2010 judgment, the disputed land was divided into three parts. The matter was heard by the bench of Chief Justice Ranjan Gogoi, Justice SK Kaul and Justice KM Joseph. 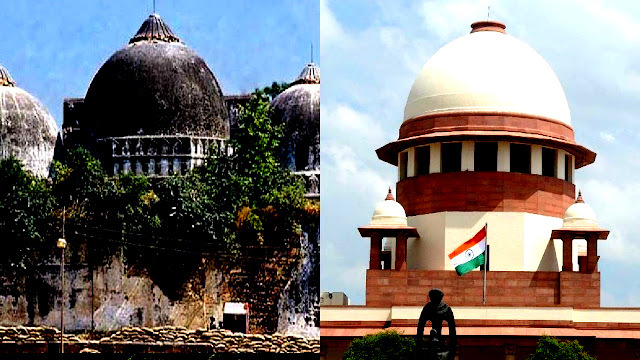 The Allahabad High Court had on September 30, 2010, in its decision with a majority of 2:1, that the 2.77 acres of land should be divided equally into three parties - Sunni Waqf Board, Nirmohi Akhara and Ram Lala. Several petitions have been filed in the Supreme Court against the Allahabad High Court's decision. Earlier this year, in the hearing on September 27, the Supreme Court refusing to reconsider its decision of 1994 and refused to accept the mosque as the internal part of Islam. The case was heard by the current Chief Justice Deepak Mishra, Justice Ashok Bhushan and Justice Abdul Nazir. In the majority decision of the two judges, the Supreme Court had said in the majority judgment of 1, that the matter will be heard on the basis of the evidence. At the same time, there were arguments from the Muslim parties that in the Ismail Farooq case in 1994, the Supreme Court had said in their judgment that reading Namaz in the mosque is not an integral part of Islam. In this regard, this decision needs to be seen again. And this is the reason that the first case should be sent to the constitutional bench. Who is the owner of the land, its fight is being fought in the courts of the country since 1949.